This package containing a pair of top-class DDR3 memory modules with a total capacity of 4GB, is intended for a busbar with frequencies of up to 1600MHz. 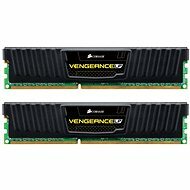 These memory DDR3 RAMs are particularly suited to gaming computers. In comparison with the previous version, it offers greater efficiency and lower power consumption. DDR3 DIMMs have 240 pins as well as DDR2 modules. To avoid confusion, the key (notch) is located so it cannot be inserted into old DDR2 slots. The theoretical transfer rate is 12800MB/s. 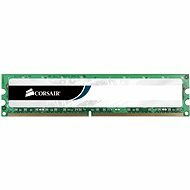 For shipping to other EU countries visit this page CORSAIR 4GB KIT DDR3 1600MHz CL9 XMS3 DHX. 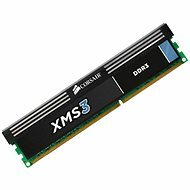 Für Versand nach Deutschland, besuchen Sie bitte Corsair 4 GB KIT DDR3 1600 MHz CL9 XMS3 DHX. Chcete doručit zboží do Česka? Prohlédněte si Corsair 4GB KIT DDR3 1600MHz CL9 XMS3 DHX. Chcete doručiť tovar na Slovensko? 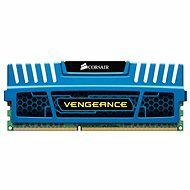 Prezrite si Corsair 4GB KIT DDR3 1600MHz CL9 XMS3 DHX. 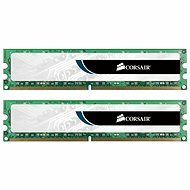 Für Versand nach Österreich, besuchen Sie bitte Corsair 4 GB KIT DDR3 1600 MHz CL9 XMS3 DHX. Magyarországra történő kiszállításért tekintse meg ezt a termékoldalt: Corsair 4GB KIT DDR3 1600MHz CL9 XMS3 DHX.